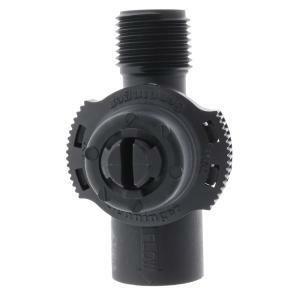 Drain Stop Plus, by Senninger, is specifically designed for overhead irrigation application. It works like a check valve to stop drainage from the applicators when the system shuts down. This process holds the water in the lines to expedite system start-up time and maximizes initial zone coverage. The Drain Stop Plus protects plants beneath the applicators from damage and overwatering.